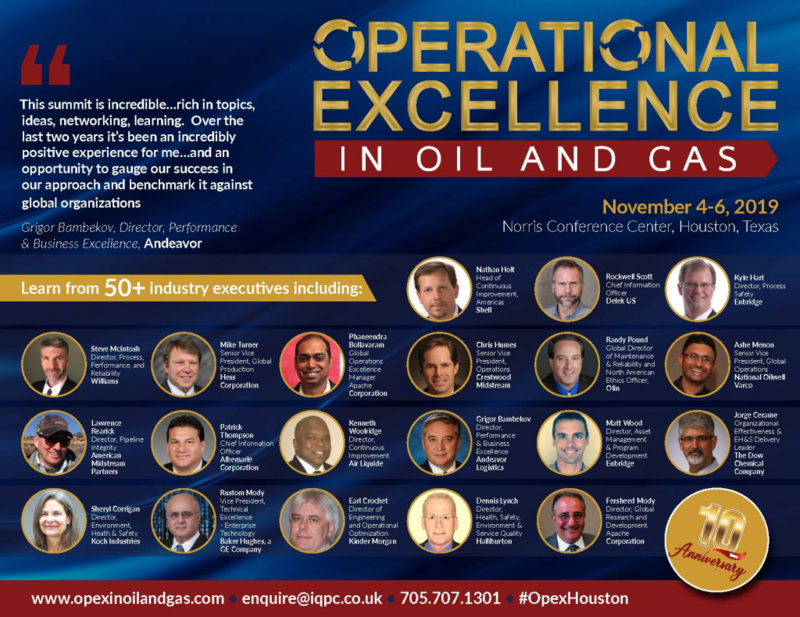 Over 300 heads of Operations from North America's oil and gas industry will be gathering to discuss the latest tools, technologies and strategies for managing change, increasing efficiency and optimizing productivity - without compromising reliability, safety, and compliance. This is your best opportunity to initiate new business relationships and network with senior decision makers all with budget authority and very serious about operational excellence. Download the 2019 agenda to take a sneak peek at some of the exciting sessions planned for this November.